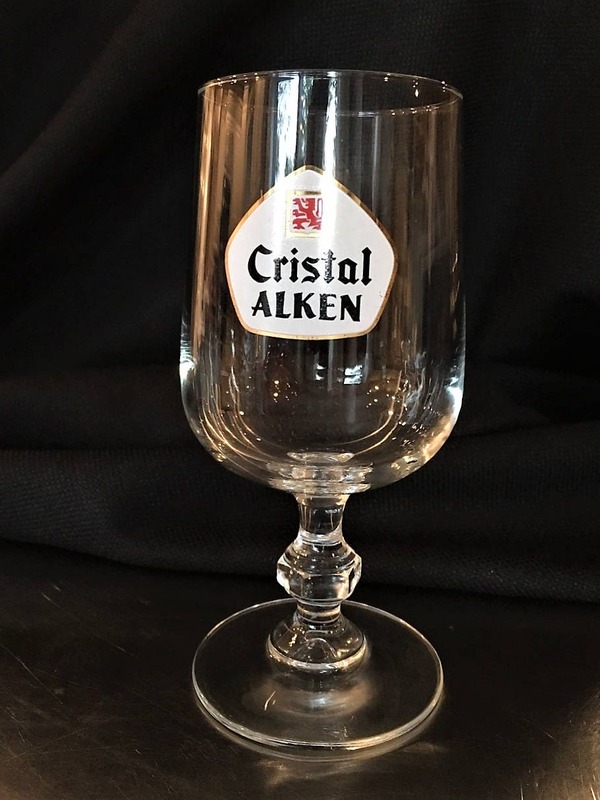 These pilsner-style glasses from Cristal Alken are uncommon and can be tough to find. They are a pinch under 6 1/2 inches tall and 2 1/2 inches in diameter at the mouth. The logo is bright and colorful. The glasses are free from any chips or cracks. 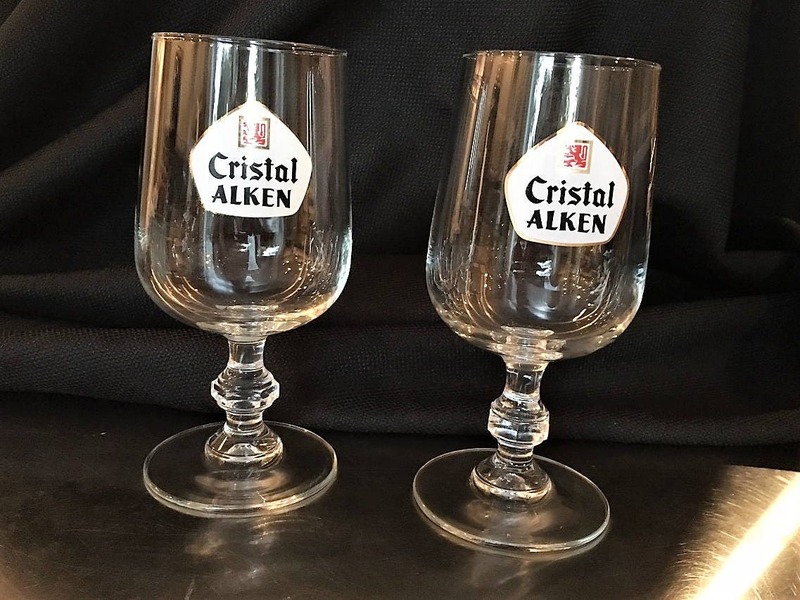 These would make wonderful additions to a barware or stemware collection. 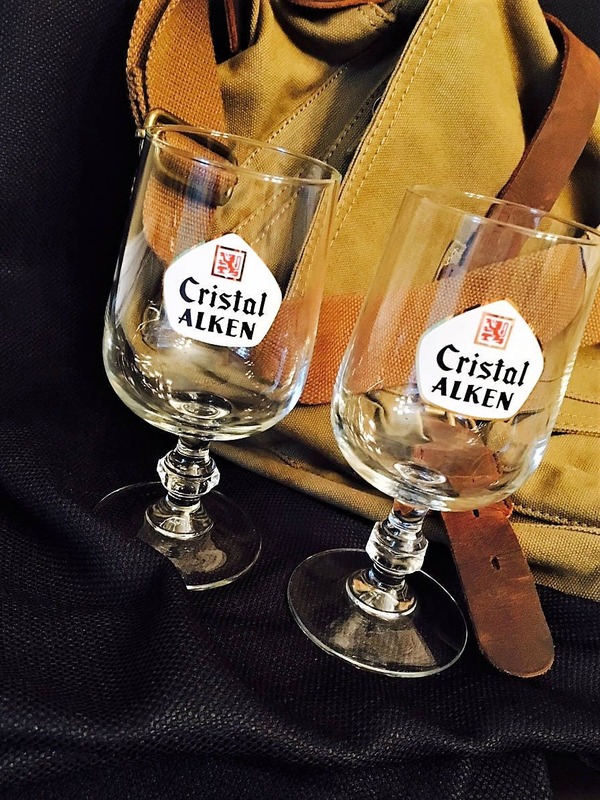 About the beer, Michael Jackson's Beer Hunter reports, "Cristal tastes at first almost like spring water; then comes a clean bit of hop bitterness; and a crisp, finish. It is a beautifully refreshing beer, lightly cleansing on the palate, with the appetizing dryness that helps define the Pilsner style. 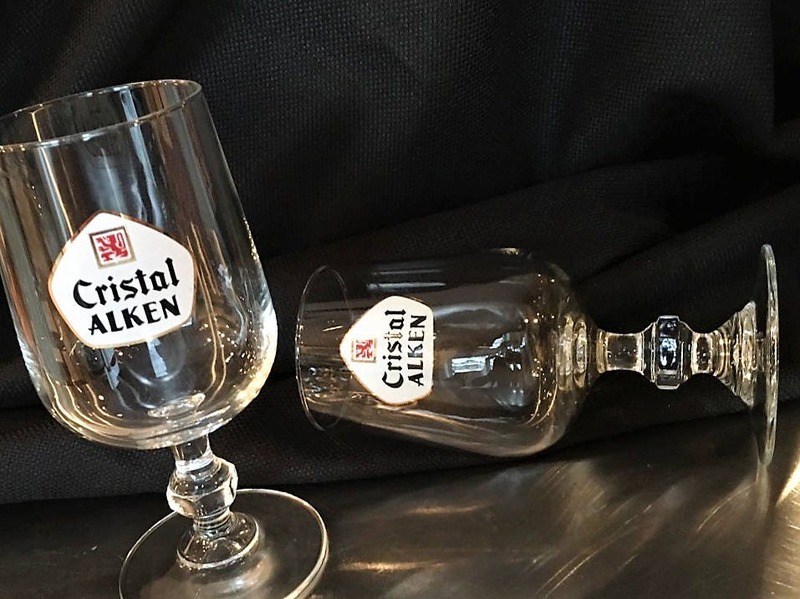 Cristal pours with a very creamy head, leaving excellent lacing. Serve it lightly chilled as though it were a good Chardonnay. Like that style of wine, it goes well with fish."